The pictures behind a single snap: Getting nice photos of babies is actually not that easy! Posting pictures of your baby online – along with posting pictures of your pregnancy scans – can be a bit of a divisive subject. Some are vehemently anti it – look at their Facebook/Twitter/Instagram page and you’ll find little trace of their little folk. Others share *literally* everything. On a daily basis you’ll know what the little mite has had for breakfast, lunch, dinner, every single activity they’ve been involved in, and quite possibly their bowel movements too. I didn’t share any scan photos online – mainly because I spent my entire pregnancy worried that something would go wrong. Posting those treasured pics felt too much like tempting fate – despite the fact that our 13 week scan was rather funny with Sonny Jim waving his arms above his head. We instead put up a photo of baby socks on my hubby’s nonna’s nursing chair and announced to the online world we were having a baby that way. I probably post a picture of Sonny Jim on Facebook or Instagram every few days. When he’s looking particularly cute. Yet, mummies who just post the cute pics also come in for a special kind of criticism. It’s often written that they are helping to pedal the myth that bringing up a baby is easy. 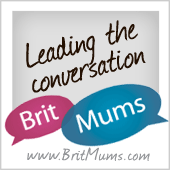 That it makes other mums who are struggling a bit that day feel inadequate. I find it all rather sad. Of course I’m going to post the photo in which Sonny Jim looks happiest, cutest, funniest (and crop it so you can’t see the big pile of laundry that needs to be done!) And for everyone one of those pics, there’s about another 20 that (oh how did mummies manage in the days when your camera took a roll of 30 pics and you had to wait a week to get your snaps back?!) he’s frowning, falling over, sucking his thumb, wobbling out of view. 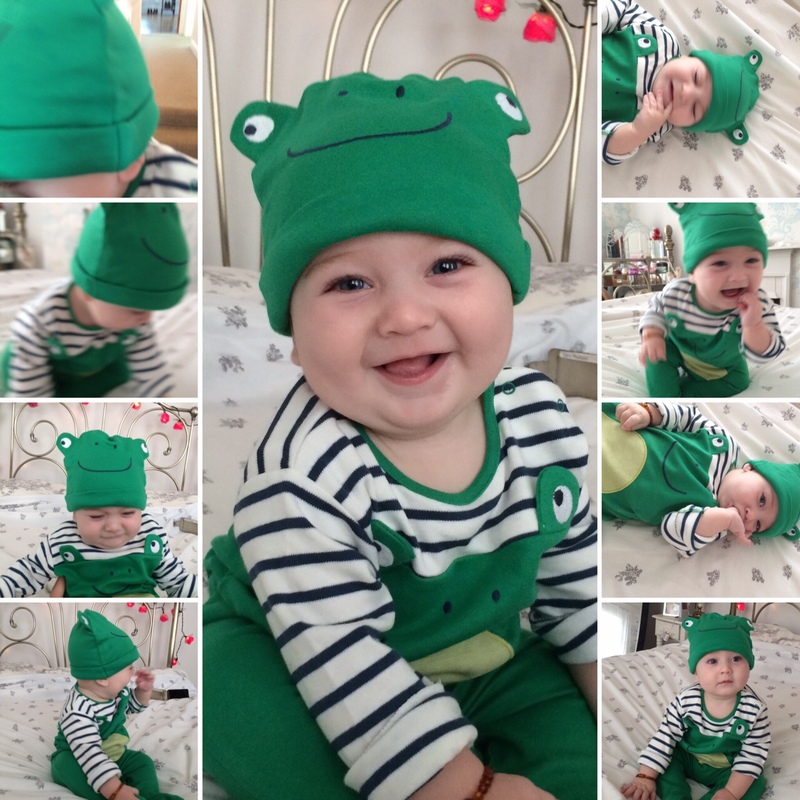 So, here are some of the outtakes of Sonny Jim dressed as a frog, just to show that even the cutest of pics don’t just happen – at least in my experience anyway! PS And just to prove that Sonny Jim has his moments as much as any other baby, (even if the pictures never make my Instagram feed!) 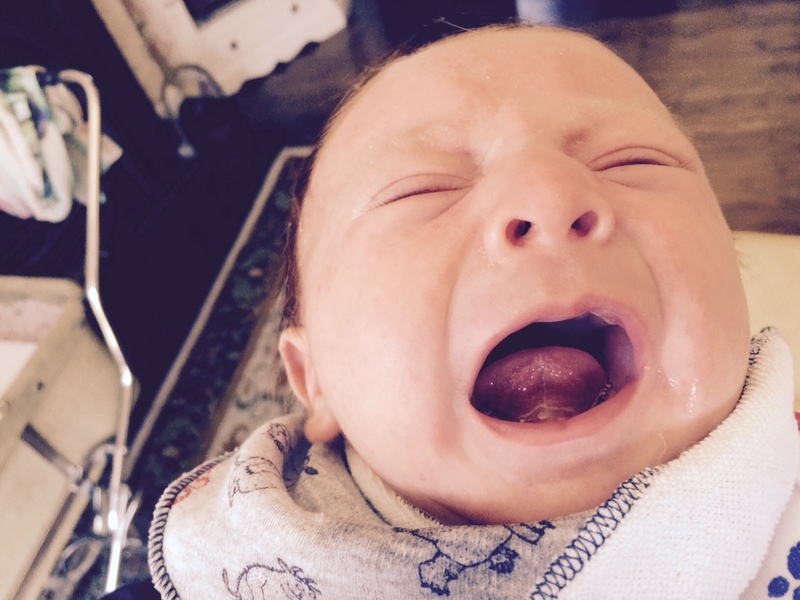 here he is at a month old having a *proper* wail. Thankfully, I was having a good day, and this picture made me laugh – hence why I still have it.